When law enforcement agencies set up sobriety checkpoints, signs are supposed to be posted, and in California it’s legal to turn away from a sobriety checkpoint if you don’t violate any traffic laws. You can proceed through a checkpoint or legally turn to avoid it, but those are your only choices. 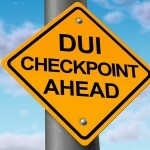 What you can’t do at a DUI checkpoint is crash into it. Unfortunately for 29-year-old James A. Gates, that’s exactly what he did at a sobriety checkpoint in San Clemente in February. Fortunately, no one was injured. Mr. Gates was arrested on suspicion of DWI. If you’re arrested for DWI in Orange County – at a sobriety checkpoint or anywhere else – get legal help at once. 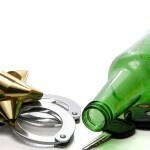 Contact an experienced Orange County DUI defense attorney immediately. Of course, the best way to avoid being charged with DUI is simply this; don’t drink before driving. If you’re going to enjoy several drinks with friends, plan ahead. If you designate a driver, make it someone you know and trust. If you rely on a friend of a friend, you may have an undependable ride. Some other alternatives are limos, taxis, and buses. You might want to check into the more-or-less-still-new ride-sharing apps and services like Uber and Lyft. These services will charge you a few dollars, but that’s simply the price of enjoying alcohol; the consequences of a DWI conviction in California are far more costly. Of course, the one certain way to avoid a DWI arrest is to stay sober. It’s worth thinking about. 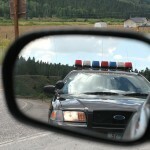 You certainly don’t want to find yourself crashing into a sobriety checkpoint or endangering yourself or others. Frankly, with so many ride services and options now available, there’s really no reason to be charged with DWI in southern California. But if you have one too many and get stopped by the police at the wrong time and place, you won’t be alone. Good, responsible people make mistakes too. If you make one, and you’re charged with DUI in Orange County, speak to an experienced Orange County DWI defense attorney right away.